We're pleased to announce ShareThis will be sponsoring our coverage of Internet Week New York which begins next Monday. ShareThis is a service that makes it easy to share any published content out to any number of social sites. As ShareThis likes to say, "there is no social without sharing." We're happy to have them on board as a sponsor. Follow along as we bring you the best of Internet Week. We'll be covering as much of the week's content as we can including the keynotes, panels, workshops and announcements along with the parties. Join us for all the Internet Week excitement you can stand. BBH was named Webby Agency of the Year by the International Academy of Digital Arts & Sciences which announced the winners of The 16th Annual Webby Awards. Webby and People's Voice winners will be honored at the annual ceremony, hosted by Patton Oswalt, on Monday, May 21, 2012, at New York's Hammerstein Ballroom. 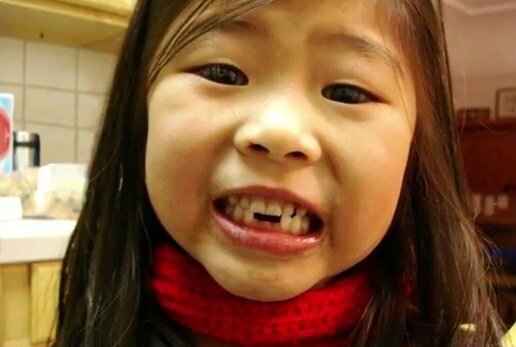 BBH snagged 9 Webby wins for their work on 4 different ground projects including Google Music, Google Chrome's Dear Sophie campaign and Asos Urban Tour. Other agencies that received multiple honors include Wieden+Kennedy (7), DDB (5), AKQA (3), BBDO (3), 72andSunny (3), and Blue State Digital (3). It's almost Creative Week. And that means it's almost time for the annual One Show. Are you biding your time before the festivities kick off? Are you anxious? WIll you win a Pencil? Well if you simply can;'t wait, here's something to help you pass the time. Mullen created Kill for a Pencil, a marriage of HTML5 and 8 bit gaming. In Kill for a Pencil, players help ad man "Jon Scraper" navigate the streets of "Madville," challenging famous advertising icons for the right to a coveted One Show Pencil. Players will recognize some familiar characters, from a lizard hawking car insurance to a well-constructed deodorant spokesman best known for his small white towel and massive pecs. "We're hoping this crazy ad game becomes sticky," said Mark Wenneker, Chief Creative Officer at Mullen. "The One Show is a perfect place to see how people like it." 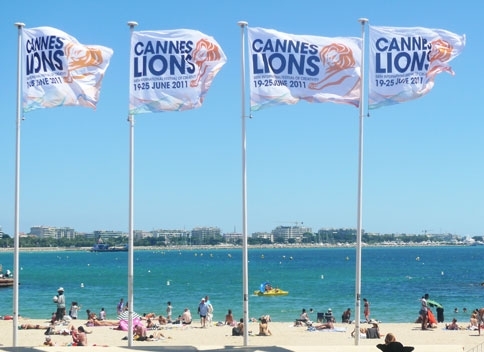 If you are an agency or a brand that wants to be a part (or a bigger part) of the biggest advertising event of the year, Cannes, we can help you do just that. 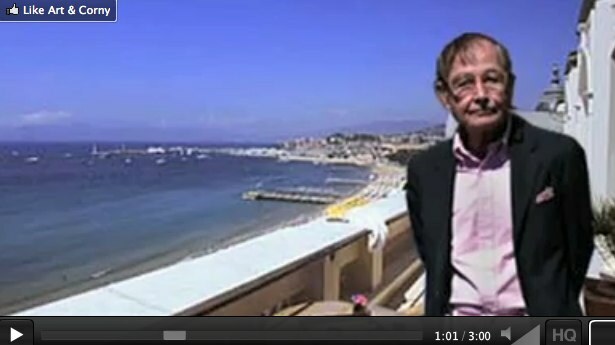 Over the past several years, we've always covered Cannes. The awards. The parties. And everything in between. Now we want you to be part of it. Intro and outro sponsorship of Cannes-related coverage (website, newsletter, Facebook, Twitter, Google Plus) leading up to the event. Intro and outro sponsorship of each Cannes article (website, newsletter, Facebook, Twitter, Google Plus) we publish during the event (2-4 each day of the event). Intro and outro sponsorship of Cannes follow up stories (website, newsletter, Facebook, Twitter, Google Plus) after the event. Content sponsorship of event photography. A TBD number of banner impressions before, during and after Cannes if desired. Email cannes@adrants.com for more details, pricing and to lock in your sponsorship now. The 2012 Grand Effie Jury has been announced. Recognizing "ideas that work," the Grand Effie winner will be announce on May 23. The Grand Effie jury decision will impact the 2012 North American Effie Effectiveness Index rankings which will be revealed at the ceremony. The Effie Effectiveness Index identifies and ranks the marketing communications industry's most effective agencies, advertisers, and brands by analyzing finalist and winner data from Effie Worldwide competitions. Remember Cornelius Trunchpole? You know, that guy from another era who decided to make a return to the world of advertising? Some thought the man behind Trunchpole was Alex Bogusky. Some thought it was Gerry Graf. We still don't really know - ok, we sort of do - but read our interview we had with Cornelius back when he was hitting the scene in late 2010. And get ready for the documentary. Oh Yes. The Man. The myth. The legend will be featured in a documentary May 9 at the Galapagos Art Space in Brooklyn. Check out the details and a teaser here. His "life" and tremendous contributions to advertising will be examined as will his recent rise to fame via social media. It should be an amazing experience. Maybe. Just maybe we'll all finally be able to meet the infamous Cornelius Trunchpole. Here's hoping. Good God! If ever there were an argument for why conference booth babes should be seen and not heard, this is it. David Spark from Spark Minute conducted a duel interview with the Fling.com and iBallers booth babes whose booths were facing each other at the ad:tech conference in San Francisco this week. Spark very politely made the booth babes look like blithering idiots. Of course, to be fair, booth babes are hired to look good, not to know that much about the company they are representing. The video proved both points. We snapped some shots of the ladies as well which you can see here. Oh and then there was this picture. So today ad:tech San Francisco kicks off. Much learning, insight and networking is expected. Last night, several parties kicked things into gear. After a restful nap and a martini at the Marriot's View Lounge, I met Vanessa Branco and we headed over to Row where Dataxu , AdSafe and Ligit were hosting a cocktail party. The place was packed but we did run into Lloyd Berry, a staple at every ad:tech I've ever been to. We all chatted and then decided to head over to 111 Minna where MediaSmith and PubMatic were hosting their party. Lots and lots and lots of great food there which was good because as a matter of course we never waste time at a sit down dinner. There's just not enough time. Too many things to do. If you'll be in San Francisco for ad:tech and unsure what to do on Monday night, April 2, the eve of the two day conference, you might want to check out the Nami Media "Rouge" Rope Event. Held from 7:30PM to 11PM at a yet to be disclosed location (you'll find out when you RSVP), the party will feature an open bar, appetizers and music that's not so loud you can't enjoy a bit of relaxing networking. If you'd like to attend, send an email to Kristy@namimedia.com. On Tuesday night, things heat up. A lot. There are more than ten parties scheduled for the evening. You can see the full list on our ad:tech party calendar here. There are a couple of early events right in the Moscone Center. ad:tech will host it's Pub Crawl in the exhibit hall beginning at 4:30PM. At 6PM in the keynote room, ad:tech will host its Totally Awesome Party.